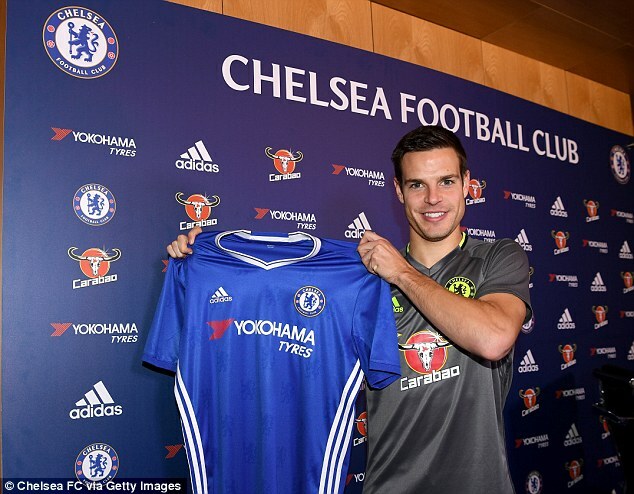 Cesar Azpilicueta signs new three-and-a-half-year contract with Chelsea as defender hails the 'new ideas' boss Antonio Conte has brought. 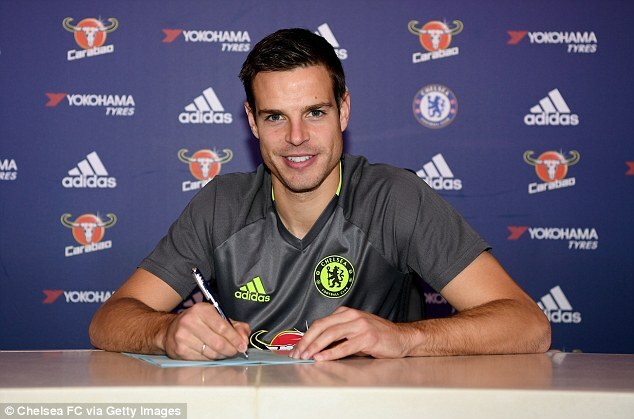 Chelsea have tied down Cesar Azpilicueta until 2020 by handing their versatile defensive stalwart a new three-and-a-half-year contract understood to be worth around £75,000 per week. Azpilicueta, 27, has played all across the back line in four-and-a-half years in west London and is the current first choice on the right side of manager Antonio Conte's three-man defence. The Spain international is set for his 200th Chelsea appearance against Sunderland on Wednesday night and says he is targeting silverware to add to the Premier League title, EFL Cup and Europa League medals he has earned. Chelsea lead the Premier League table by three points as they target a 10th straight victory at the Stadium of Light. Azpilicueta has been ever-present under Conte this season and also praised the 'new ideas' he has brought in. 'I'm really happy to have signed a new contract,' the Blues defender said. 'Since I arrived here my target was to progress as a player and win trophies. 'This new contract gives me the chance to continue my relationship with the club, that's what I wanted and obviously I'm really happy here.